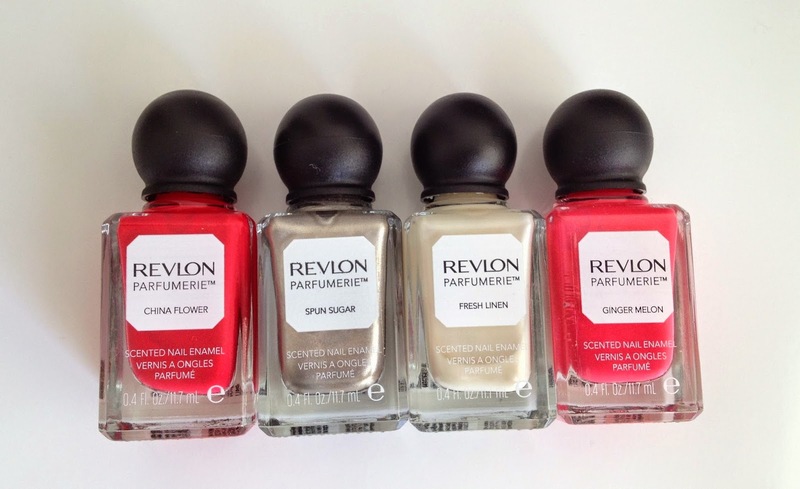 I first heard that Revlon were launching the Parfumerie Nail Polishes a few months ago. At first I was baffled by the idea of scented nail polish, but I then I knew that I would have to try it. I bought 4 different shades based on colours I liked but also based on the scent of each. In the shop there were handy little scratch and sniff leaflets with the display so you can sample the different scents. It is worth pointing out that the scent really appears once the polish is starting to dry - otherwise it still largely smells of nail polish. This means you can't just open the bottle in the shop and smell it to see if you like it. The scents are divided into groups of fruit, floral, sweet, spice and fresh and there are 24 different shades to choose from. But I did find myself rejecting colours I liked based on a scent I didn't like (Apricot Nectar was just too sickly sweet and fruity smelling) and likewise opting for colours because I liked the smell. The nicest scent was Surf Spray - but I don't really wear blue nail polish so I didn't choose that one. 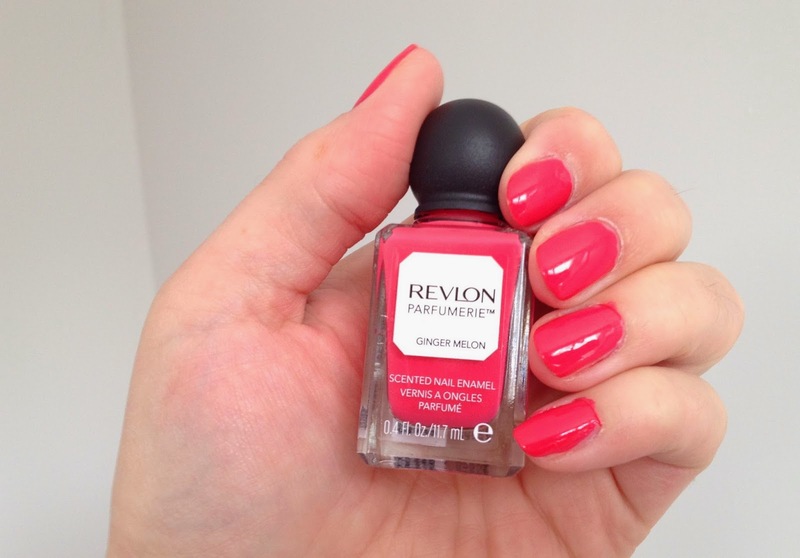 My favourite shade is Ginger Melon, a bright pinky coral colour. It applied really well and one coat was fully opaque although I did do 2 coats just to be sure. I wore this shade on my finger nails for a full 11 days with only a few small chips, which I thought was pretty amazing. It is a great colour for spring and summer. The scent is quite sweet and lingered for a few days. The other bright colour I bought was China Flower. In the bottle it looked more of an orangey tomato- red, but on the nails just looked like a red nail polish. This was the first one I tried out and I really didn't like the scent. It had a rose type smell to it but in a synthetic Shake 'n' Vac sort of way. Thankfully the scent faded after 24hrs and the colour lasted much longer. I bought Fresh Linen mainly because the scent was one of the better ones. On the nails the smell reminds me of fabric softener and smells of a sort of soapy clean smell. I really liked the colour as it is unusual - it is a pearly white colour and I did get some compliments! As it is a paler shade it applied a little more streaky than the others and I definitely needed 2 or 3 coats for this one. It also only lasted a couple of days on my nails before I had to remove it because it was looking tatty. I think this would make a lovely bridal colour and again will be good for spring and summer. Finally I was drawn to a tarnished silver colour called Spun Sugar. I liked the slight nickel undertone to it although I don't think it really translated on the nails as it looked more of steel metallic colour. The scent was sugary without being too sickly sweet. Again it is quite an unusual colour and would be nice for an evening out. 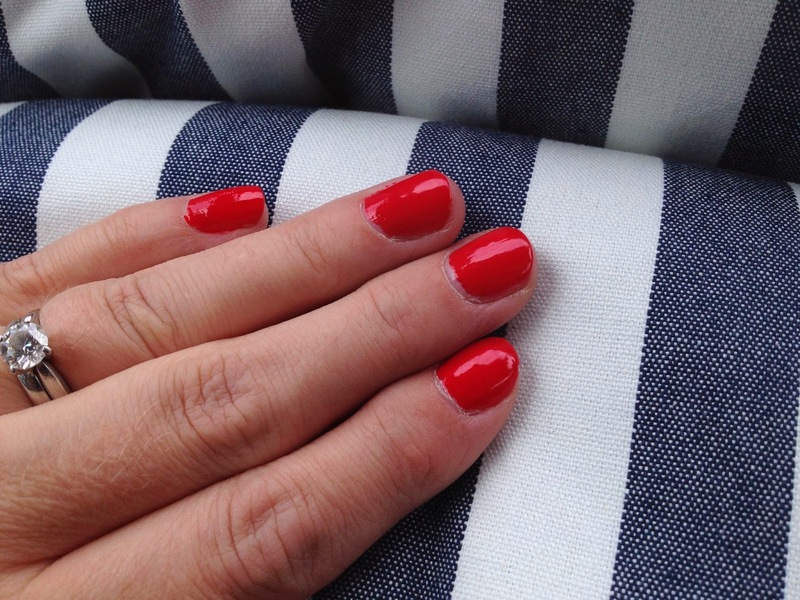 Scented nail polish is a first for me and I was surprised at how long the scent lingered for. I didn't notice it on my toes, but on my fingers it became a bit overpowering after a while - eating savoury food with the waft of sweet nail polish from your hands was a bit off-putting. Even a coat of my beloved Sally Hansen Insta-Dri top coat (which I reviewed HERE) didn't mask the scent. On the whole I do like these polishes and I absolutely love the packaging - how gorgeous are the bottles! They look amazing on my dressing table. But I think the scent is a hindrance and is actually the least appealing thing about them. 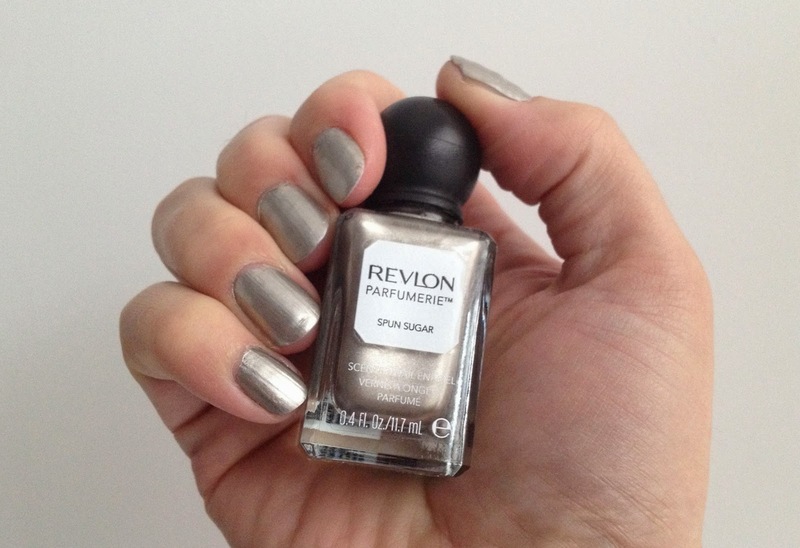 However, like other Revlon polishes I have, they apply well and the lasting power is really good. Without a doubt the star of the bunch is Ginger Melon and I know I will be using this a lot over the next few months! Have you tried these? Which are your favourite shades? 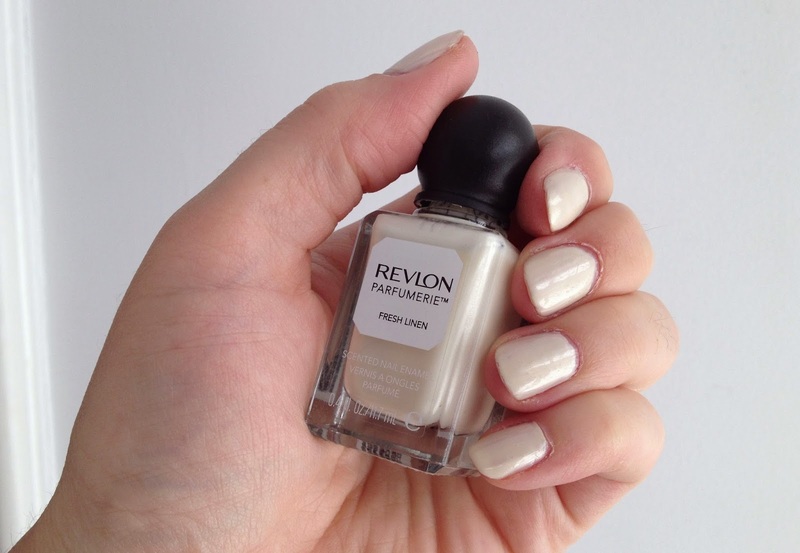 Revlon Parfumerie scented nail polish is currently on offer in Boots for £4.49 (usually £6.49) HERE.